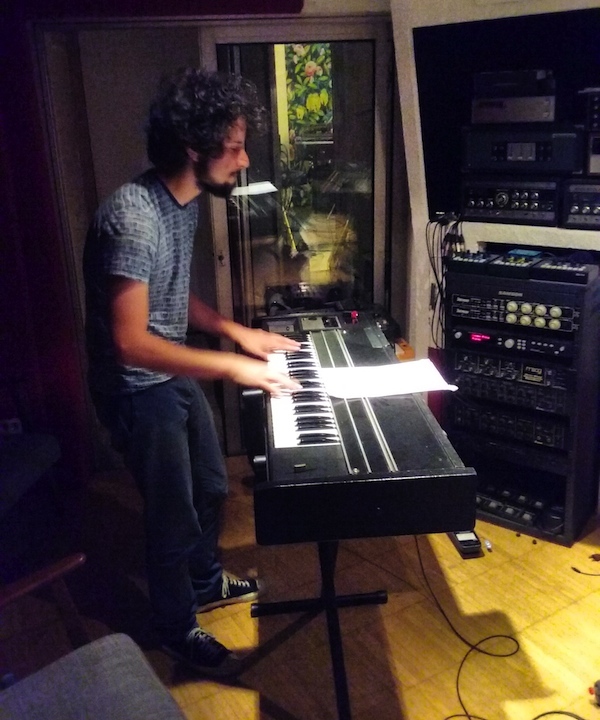 Nicolas Worms came to the studio (Tropicalia) today and recorded keyboards on four songs of our new album. Our song “Uca Pugilator” is featured in a commercial for Magic you’ll hear this week on France Inter. Benoît Giffard is a great trombone player. You’ll be able to hear him on our next album. 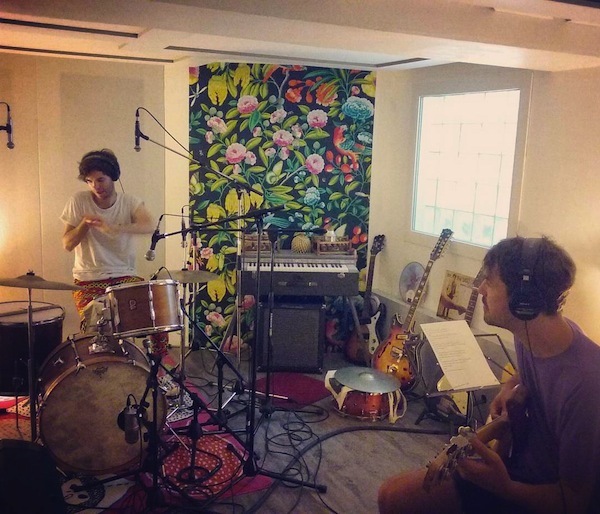 We finished recording drums for our next record, thanks to Jean Thevenin. Steffen Charron played all the bass parts. 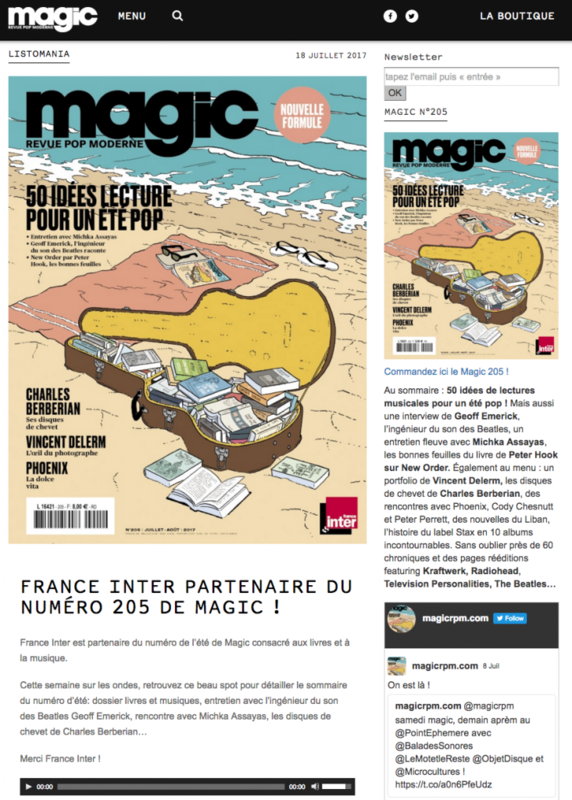 French magazine Magic has just released its summer issue! In this video, you can hear “Uca Pugilator”, a song from our latest LP Grand Tour. On the first day of summer (Fête de la musique), Florence invited us to play an acoustic show in her beautiful apartment. 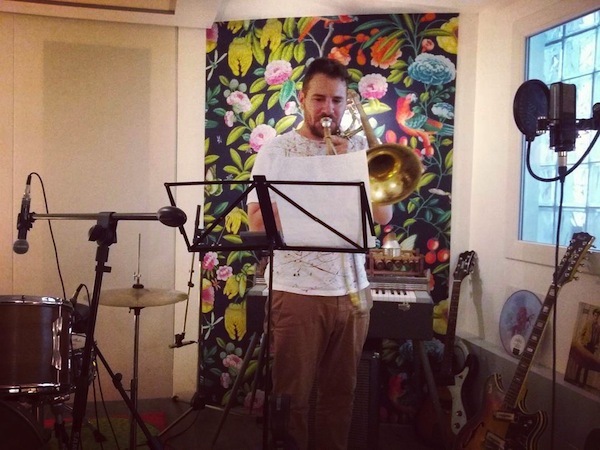 Here is a live version of “Makeshift Fans”, with flute/vocals by Emma Broughton and trumpet/keyboard by Raphael Thyss.